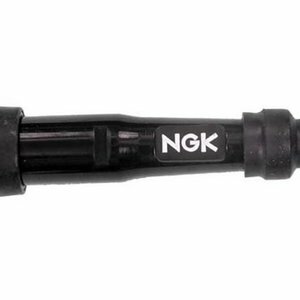 Bougiedop SD05F NGK8022 Recht. 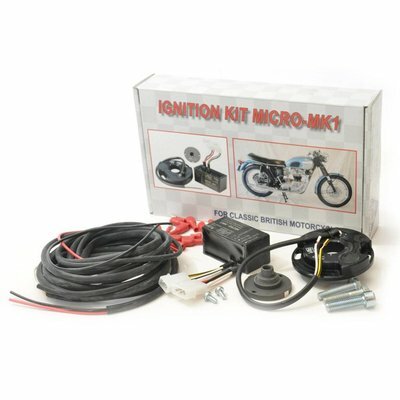 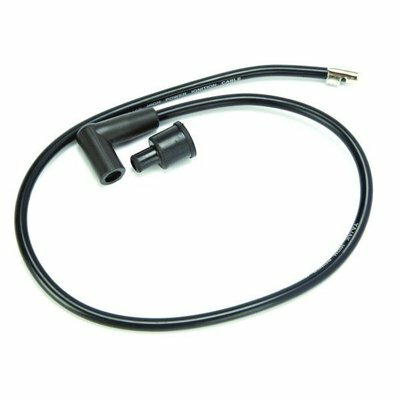 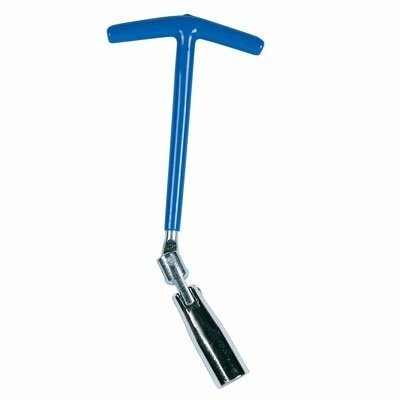 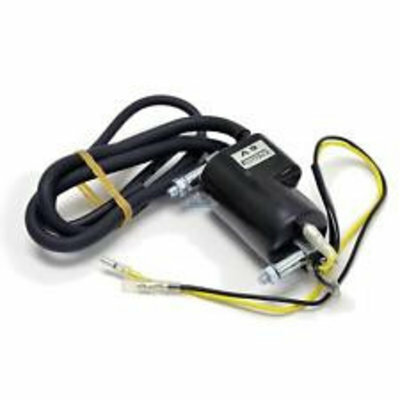 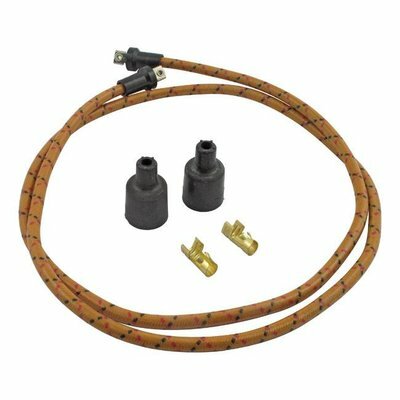 1 van de meest gangbare doppen voor praktisch elke Cafe Racer. 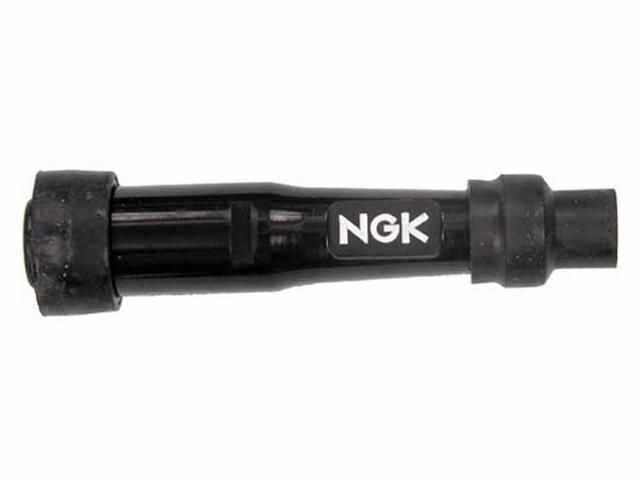 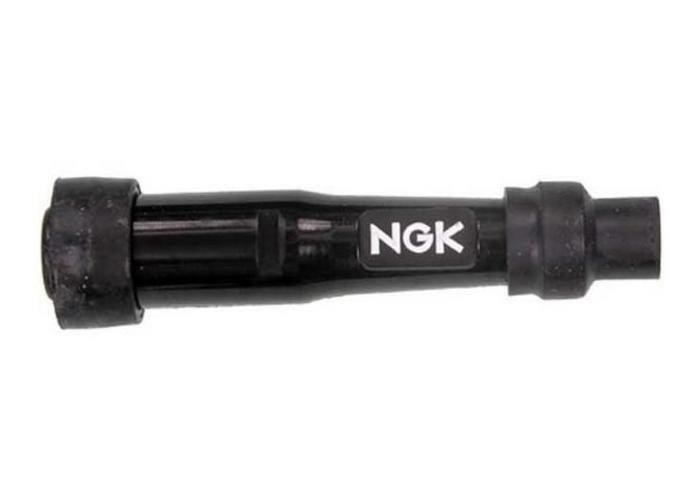 NGK Spark Plug connector cover SD05F. 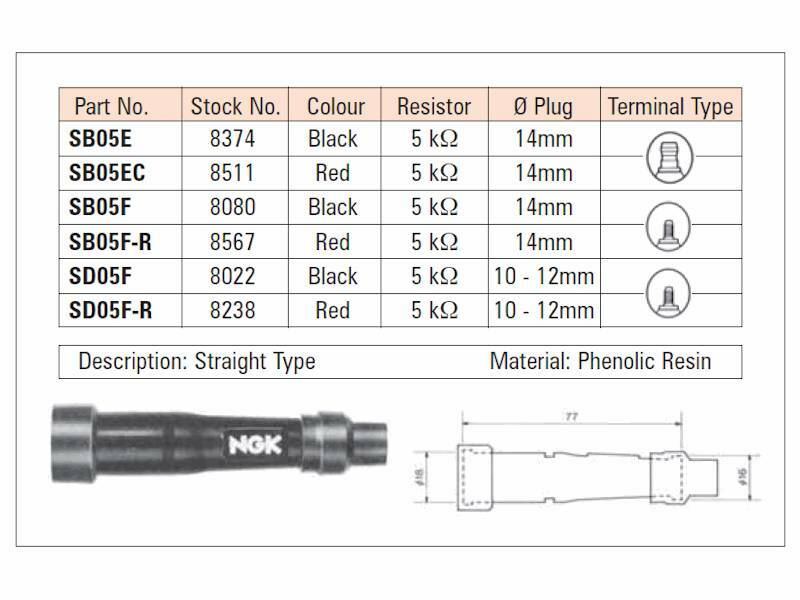 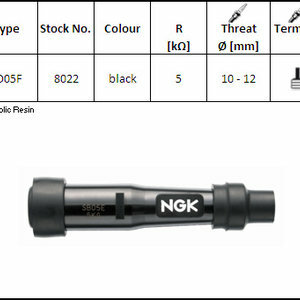 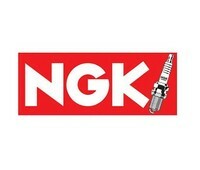 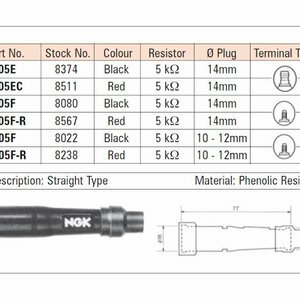 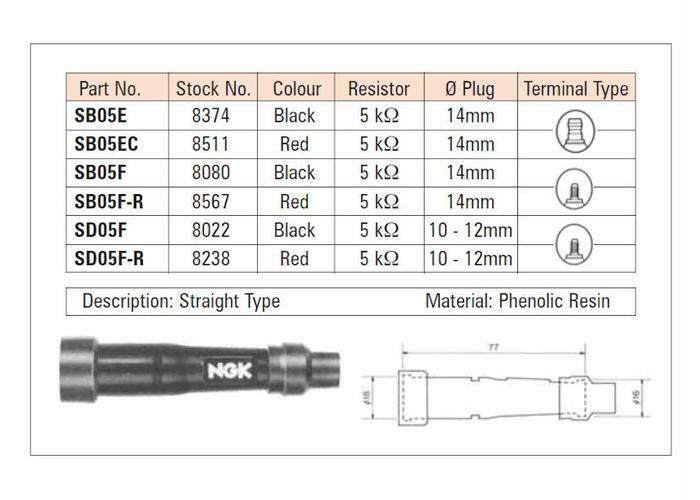 NGK stock code 8022. 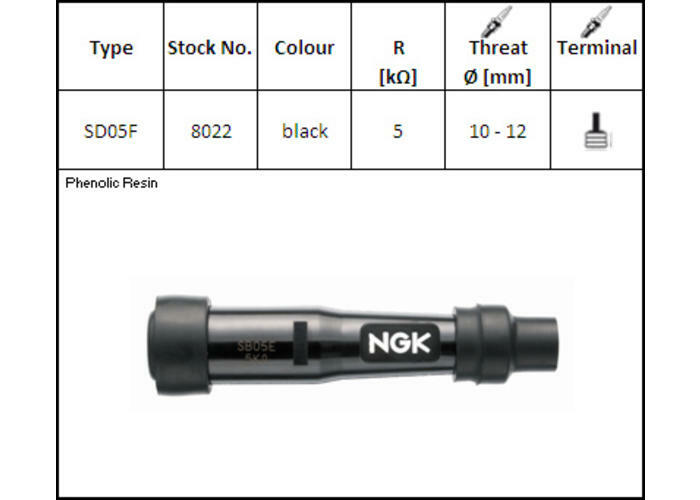 This is a phenolic resin (hard plastic) Spark Plug cap, suitable for motorcycles, garden equipment and some cars. 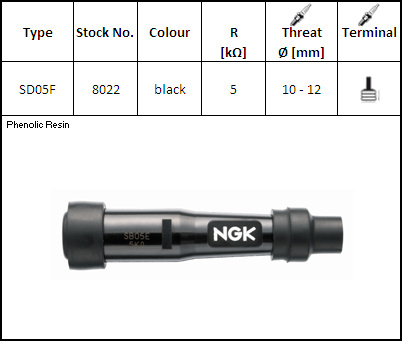 Please study the images, including the technical details card image (where provided). 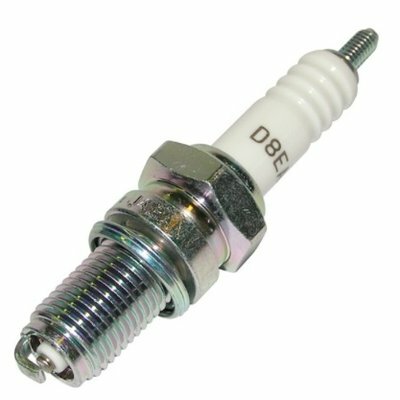 These are generic spark plug caps and therefore you will need to select a part which is the correct angle, has the correct resistance, fits the terminal type of your spark plugs and is designed for the thread size of the spark plugs you are using. 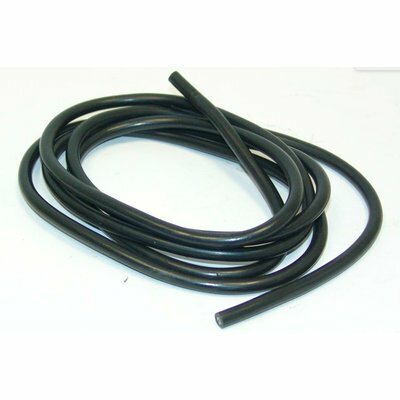 Caps for use with different thread sizes come supplied with different diameter rubber seals.